Magnificent ocean, Intracoastal & Bonnet House Estate views. Premium & private deep water marina dockage to accommodate yachts up to 100 feet. Palatial floor plans ranging from 2,500 to over 4,000 square feet of in-door/out-door living space. 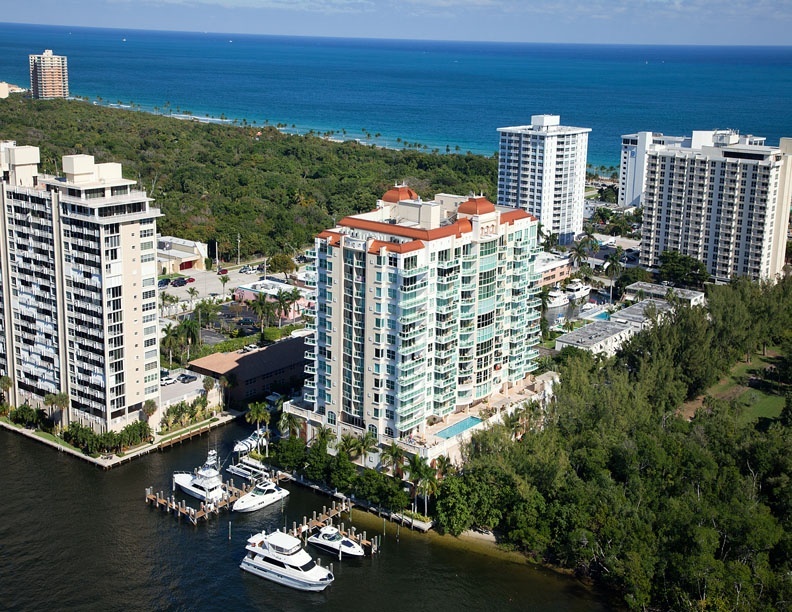 2 bedroom/den/3 1/2 baths, 3 bedroom / 4 1/2 baths and two-story tower suite residences. Panoramic walls of glass and sweeping entertainment terraces showcasing fabulous views. European Snaidero kitchens of wood, granite and stainless. Luxurious baths of marble and deluxe fixtures throughout. Landscaped private entry land and a signature architectural tower. Posh lobbies and club rooms, private elevators, shimmering pools, spas and the intimacy of just 66 private residences. Two car garage parking included with each residence.